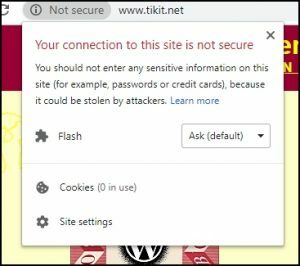 Since Chrome has now decided my website is ‘Not Secure’ albeit I don’t ask for any passwords or credit card information I don’t want people to feel put off visiting the site when they see the message so this week I’m ‘biting the bullet’ and splashing out £25 a year for a SSL certificate. If this blog or website doesn’t appear next week it’s probably because I’ve screwed up all the settings! I recently saw the Fawcett edition of ‘Frankenstein Unbound’ by Brian Aldiss and it looks almost the same as the PAN edition. The original hardback with this artwork appeared in 1973 with the paperbacks in 1975 but I’m left wondering why there as so many little changes on the PAN version, apart from the obvious face added, such as the way the hair falls and was this done by Paul Bacon the artist? I must apologise to fellow PAN Fan Fred Cheetham who came over from Vancouver, Canada to see my collection and for me then to talk to him continuously about PAN Books. This sounds a little grander than it was it that he was actually staying in Shrewsbury with his brother and popped over on the train from there and not BC! Fred at one time worked for Collins who had the distribution rights for PAN in Canada. 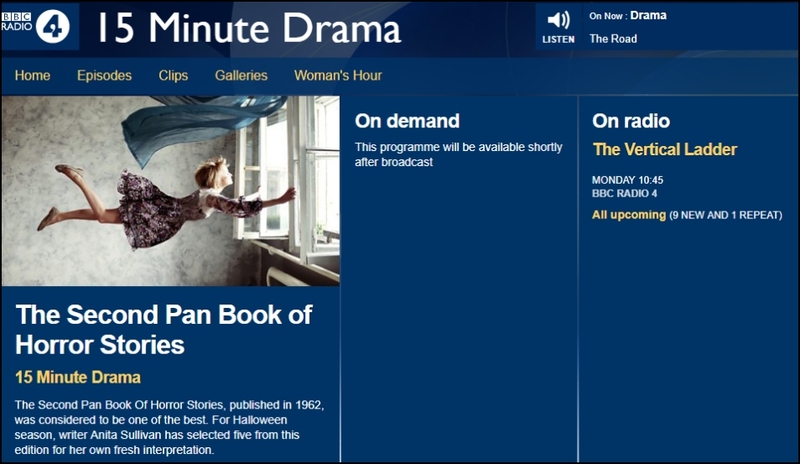 For Halloween the BBC are putting on a series of 15 minute dramas based on ‘The Second Pan Book of Horror Stories’ starting on the 29th. I seem to remember they also did a similar thing with the first in 2012 but can’t find backup to confirm this. 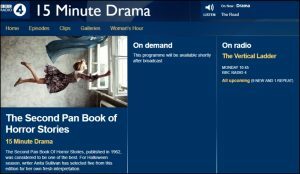 I’ve also noticed that yesterday (28th) the BBC were starting a dramatisation of “The Little Drummer Girl” by John Le Carre in six parts. 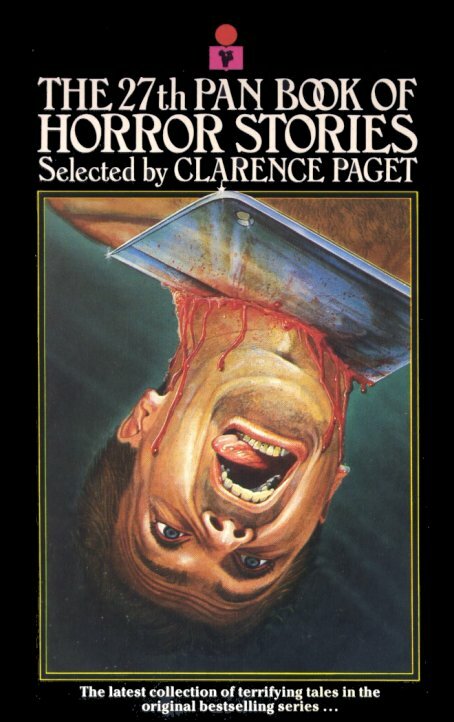 Talking of the ‘Horror’ books I was going to feature Stuart Bodek this week who painted the cover of number 27 but I’m still waiting for some replies to emails send out a while ago, watch this space. 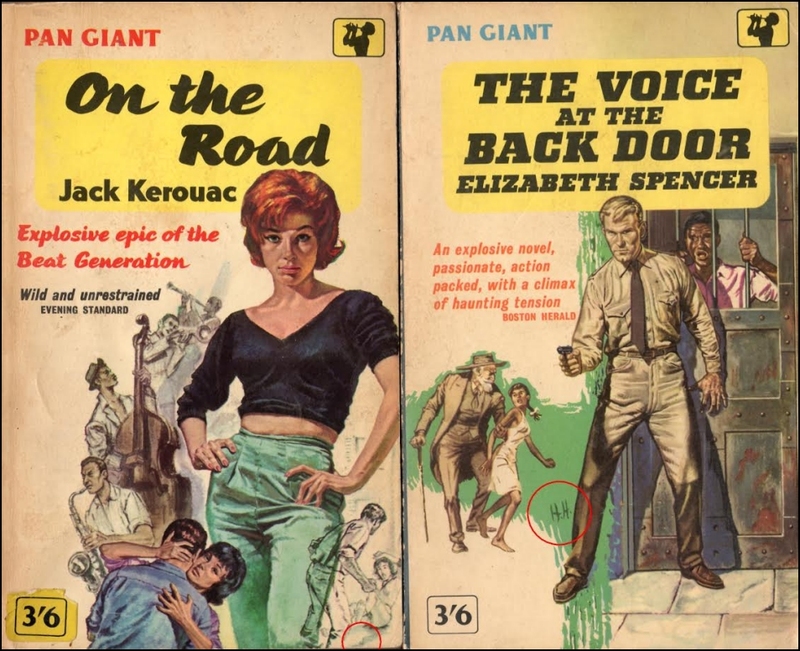 “On The Road”, jogging and a trilogy? 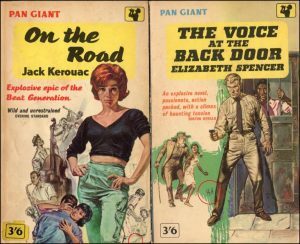 Last year I was contacted by author Steve Turner regarding ‘On The Road’ by Jack Kerouac and asking if I knew who the cover artists was? 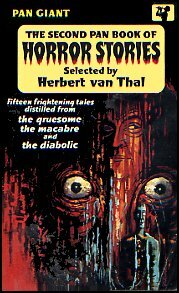 Although I’ve never been able to discover for certain who it might be, or where the original artwork is, I have long suspected it could be by Hans Helweg as he was prolific around the early 60’s with several that can be attributed to him very close number wise and in the same style. I have a list of titles that I’ve come across on other peoples websites and if I see them for sale somewhere economically priced I might buy them but they are not top of the list. 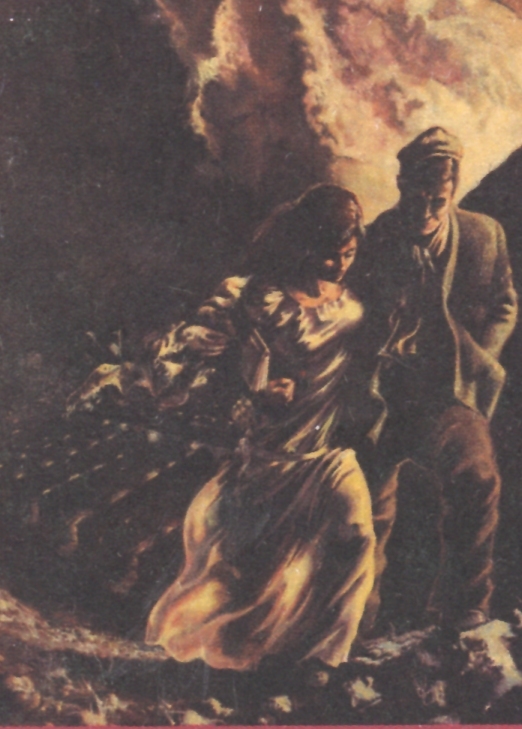 One was ‘The Complete Jogger’ by Bruce Tulloh which seemed to be very elusive but I then realised I was looking for ‘Tulloch’ and not ‘Tulloh’, suddenly hundreds of copies! Interestingly the runner on the cover is the late Simon Master who just happened to be around when they need someone to be photographed. 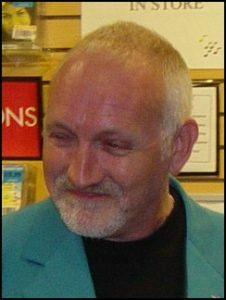 Simon was at PAN in the 1970’s and in his obituary it says “Most people in publishing would have recognised Simon from the 1970s and ‘80s, a tall distinguished figure with impossibly thick-rimmed glasses. 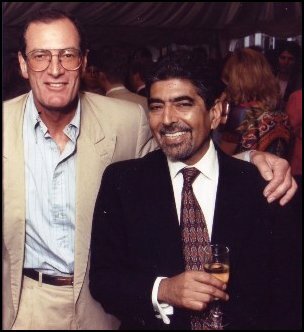 He and Sonny Mehta became legends from their time at Pan and Picador; Simon was first publishing director at Pan, then chief executive—the youngest head of a major publishing company at the time—from 1979 until 1987. 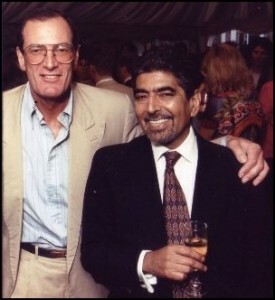 Patrick Janson- Smith once summed up the Golden Age of paperback publishing as “Mehta & Master” Now I don’t want to name drop but as I said to Sonny at the PAN 70th birthday bash ……! 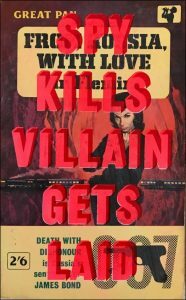 Just wondering why PAN only published two of the three titles in Victor Canning’s ‘Smiler’ series. 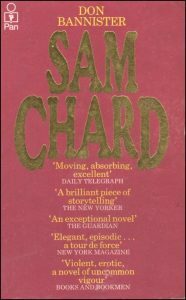 I thought it might be because the third part was written much later than the other two but the hardback version was published in 1974. Puffin published all three titles in 1979. 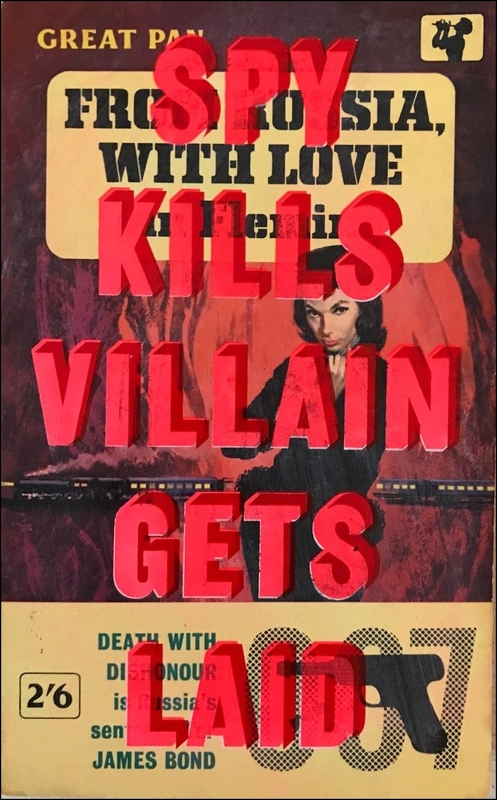 Having found a couple of authors where two of their titles are linked by the cover artwork I’m wondering if there are any more? I know some of the PAN/Ballantine’s (all titles will be added eventually) have the artwork from the front of one on the back of another plus the Julian May panoramas. I’ve put a couple of examples HERE although I had to fiddle the Tevis covers to line up by taking a bit off the top of one and a bit of the bottom of the other but no such problem with the Harris. I’ve emailed Paul Roberts, the artist who painted ‘Bodyguard 2’ used for the Thomas Kyd covers, but no reply so far. 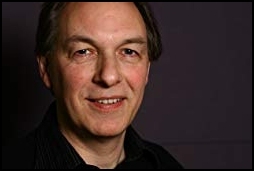 Just because I have them to hand I’ve put the three Robert Rankin titles in the ‘Brentford Trilogy’ on a page. Not sure why they all had to have so disparate covers and did Rankin have a falling out with PAN in that they didn’t publish any of his later titles of which there are nine in this series? Sometimes I look at something and wonder ‘Why’, is this art or just a way to spoil a good book? If you are keen to have something like this by Dave Buonaguidi you’ll need to outbid the current one of £50! AIRPORT at last, Leominster and Victor Canning. It was last Wednesday when the edition of ‘AIRPORT’ I’ve mentioned several times before eventually arrived from France and now means I have a name for the cover artist – Chris Moore. I recently discovered I still had a 91 year old Aunt living in a care home in Leominster so popped over to see her last week but it also meant I could visit the antiques centres so often used on the BBC TV programme ‘Bargain Hunt’ (see ‘‘PAN as Seen on the TV’ although don’t think any are from Leominster) I was really pleased to see Stan who often appears as the one contestants haggle with. I’d heard it was all prearranged and when I asked Stan he said “I couldn’t possibly comment!” I ended the day with five books and amazingly when I got home found I’d only got one already. It’s more often the other way around. 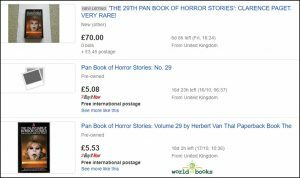 One of them was another Victor Canning title from the late 70’s series, namely ‘The House of Seven Flies’ in unread condition. It cost me all of £1.00 and I didn’t think it was worth haggling for. Talking of television, and nothing to do with books, I had a starring role on TV as a litter picker. 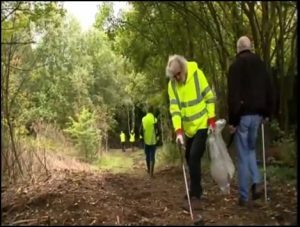 Our work to clear an old railway line made the local news as part of their ‘Active Autumn’ series. We thought it was for things to do in Autumn but appears to be referring to the stage of life of the participants!. I was asked to speak but I let 80 year old Brian do it as he’d bought a new hat! 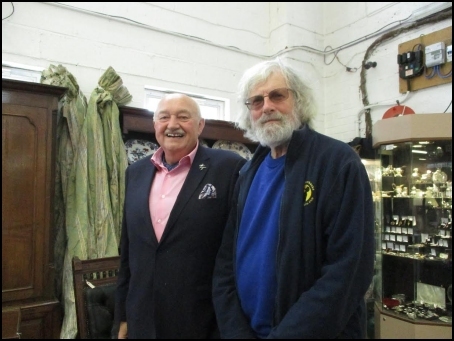 As a foot note I’m often asked about my attire having both sweatshirts and fleeces with the PAN logo on as in photo above of me with Stan. It’s not really that I’m that dedicated (I hear my wife laughing for some reason or other?) it’s just the website I get them from has a great range of colours, unlike shops, are competitively priced and the logo comes FREE! Who can resists a freebie! Last Monday I was actually partaking in an activity where I received money rather than giving it out all the time. I bit the bullet and took a large amount of my duplicate PAN’s to Astley Book Farm where I got paid for them. They were a very mixed collection and in all conditions but I was more than happy with the outcome. I have had several wants lists from fellow collectors and I don’t think any titles on those lists were included. Amazingly I came away without buying a book but I’d forgotten what a good shop Astley is and will be returning soon. 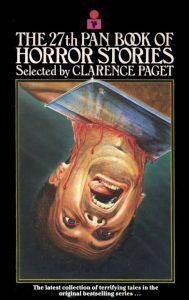 After mentioning recently the fact PAN often produced several film tie-ins and wondering why I picked up a copy of ‘Flowers For Algernon’ by Daniel Keyes which showed PAN didn’t always ‘push the boat out’ to publicise film tie-ins as it just has a sticker on it. When I put the Hailey ‘Airport’ covers on last week I was hoping that by now I would have received the copy I found in France and so have accurate date etc. I have tracked it for the last two weeks via several places in France and Germany where it appears to be stuck. I’m also waiting for a couple of titles from eBay I bought on August 14th but the delivery date hasn’t run out yet! I think I’ll stick with books from Australia as they seem to arrive in days but I think my fastest record from a non UK source is one from San Francisco bought on a Monday which arrived on the following Wenesday. The record from the longest was ten months from Canada. The seller decided it was lost and gave me my money back. I later told him it had arrived but he kindly said it was now a present. 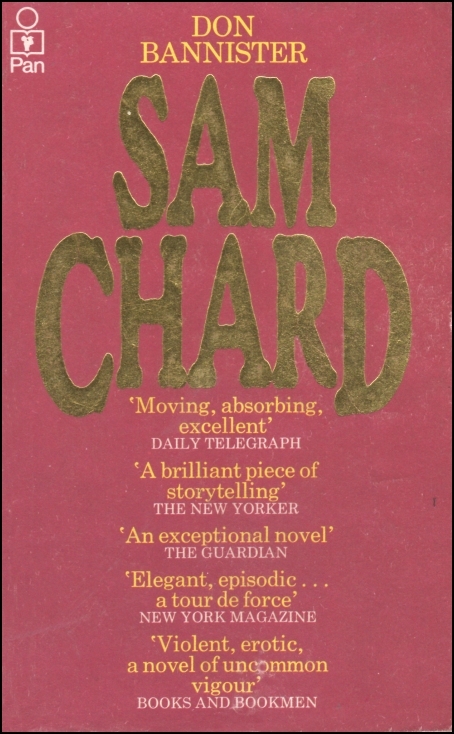 A couple of weeks ago, on a Facebook site for vintage paperbacks and pulps, I was nominating ‘Sam Chard’ by Don Bannister as a candidate for an awful cover award but then said I turned it over to find a small picture. 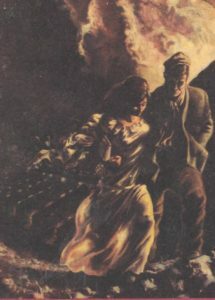 This looks really familiar but I just can’t think where I’ve seen it before, as another cover perhaps, does anyone recognise? Spotted this optimist on eBay last week. There were no takers for either of them and I wonder how many times the seller will reduce them till they get to a realistic level? STOP PRESS The copy of ‘Airport’ from France is now somewhere in the UK!